This enthralling Vaughan Williams programme couples two wonderful alternative versions of great works. 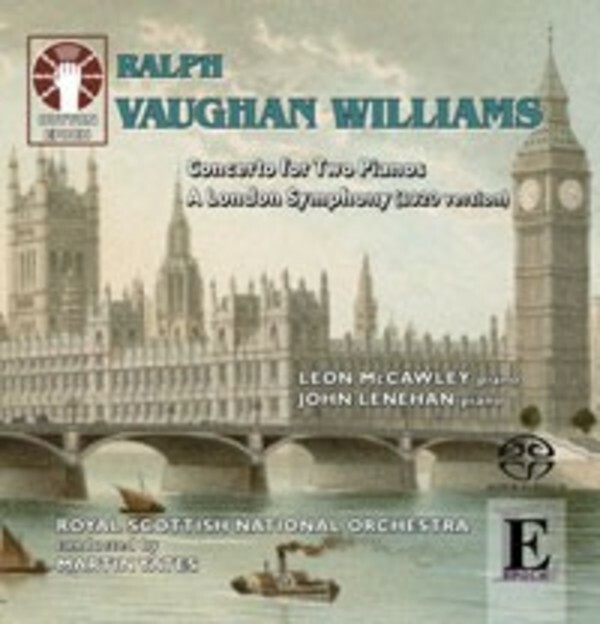 Vaughan Williams� two-piano version of his craggy Piano Concerto reinforces its standing as in many ways the link between the Third and Fourth Symphonies. Here the barnstorming piano team of John Lenehan and Leon McCawley with the Royal Scottish National Orchestra and Martin Yates are thrilling in their traverse of this cherishable score. The programme is completed by the 1920 version of A London Symphony, not recorded since Goossens�s wartime 78s. Here, for the first time in modern sound, we have the opportunity of exploring those various moments that RVW deleted from the version generally played.